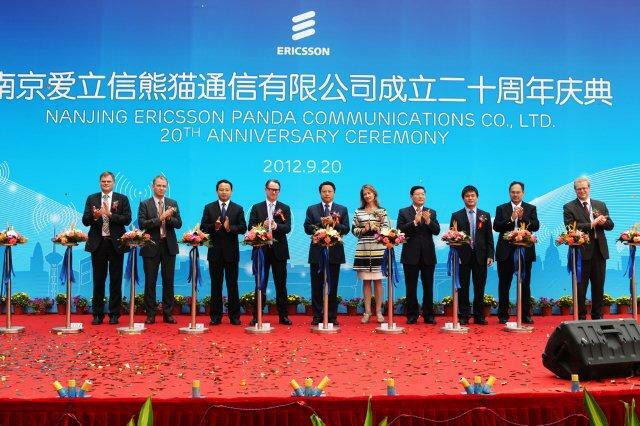 Nanjing Ericsson Panda Communications Co. Ltd. (hereinafter referred to as "ENC") celebrated its 20th anniversary today. Founded in 1992 as a production unit, ENC has developed vigorously and matured into Ericsson (NASDAQ: ERIC)'s largest production supply center and one of the most important research and development bases in the world. 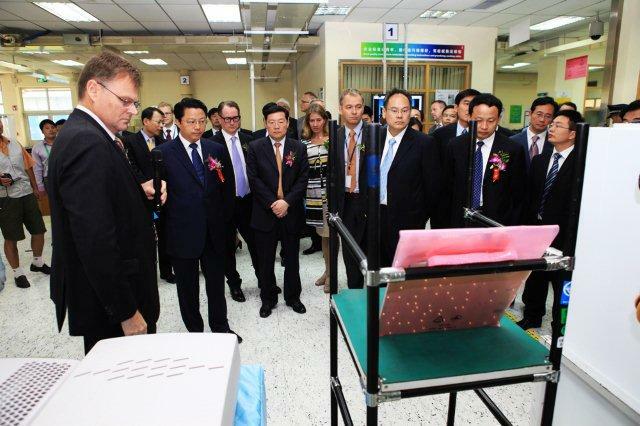 Over the past five years, Ericsson has invested more than CNY 450 million in ENC. In 2008, Ericsson invested to expand the total area of factory buildings and ancillary facilities to approximately 13,000sq m. The expansion, completed in 2009, increased the ENC's production area by 50 percent and doubled its production capacity, which is mainly devoted to 3G equipment. 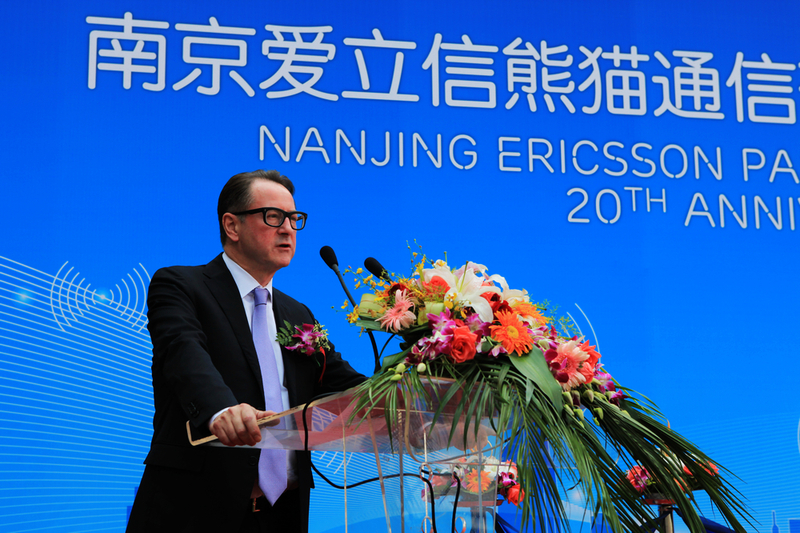 In 2011, Ericsson invested to double the scale of its R&D Center in Nanjing and its infrastructure to meet the demand for expanded operations. The inauguration of the new Nanjing R&D Center building, which covers a total area of 11,700sq m, will enhance the company's R&D capability in 3G and LTE. One of Ericsson China's five major R&D centers, the Nanjing R&D Center currently employs about 500 R&D engineers who are working on software and hardware for various communication standards, including GSM, WCDMA, LTE FDD and TDD (TD-LTE). The radio network controllers and radio base stations developed by the center have been deployed by major operators in more than 100 networks around the world. Mr. Yang Weize, Party Secretary of Nanjing Municipality said: "We would like to congratulate ENC for your progress in the past 20 years and thank you for the great contribution you have made to the development of the entire industry chain in Jiangsu province and Nanjing city, as well as the social and economic development in the region. We sincerely hope that ENC will continue to prosper." Mats H Olsson, President of Ericsson North East Asia and Chairman of Ericsson China, said: "In the past 20 years, ENC has grown from a local production factory into a world class global production and supply unit. In fact, ENC of today is truly serves as a benchmark for the success of the globalization of Ericsson. ENC will play an even more important role in the development of the ICT industry in China and around the world."